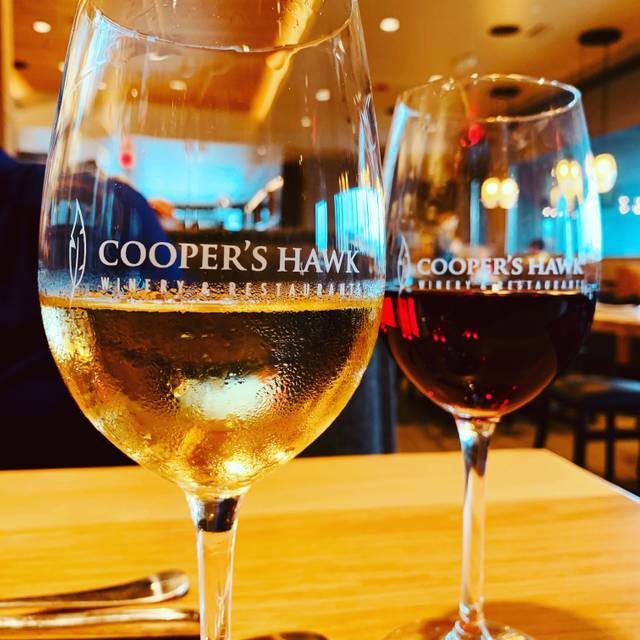 You must make reservations at least 5 minutes in advance of the time at Cooper's Hawk Winery & Restaurant - Virginia Beach. There is something distinctive about a Cooper’s Hawk event that sets it apart from the rest. Our private event spaces are each designed to welcome Guests with the warmth and elegance of the wine world. Our unique restaurant lends itself to highlighting wine and food pairings like none other. The stunning surroundings and memorable menu offerings are only enhanced by our signature style of hospitality: anticipatory, knowledgeable, and kind. We believe that great wine and food bring people together and that the spirit of celebration is at the center of every great event. 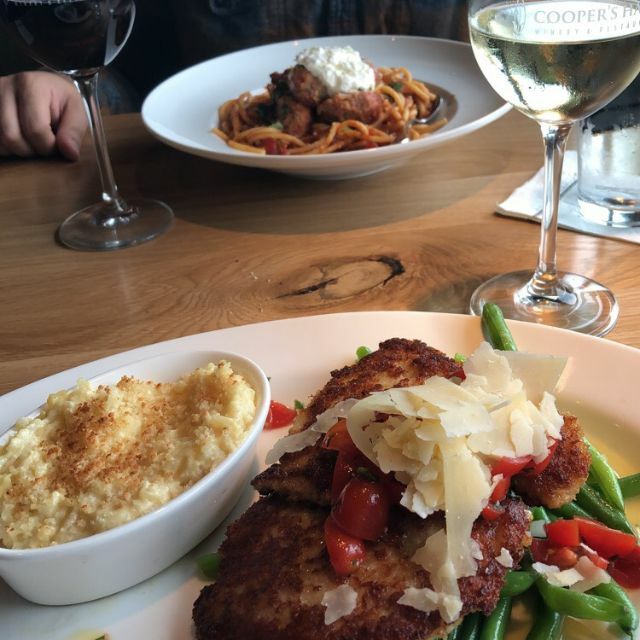 We invite you to share life’s special moments—with family, friends, and coworkers—at Cooper’s Hawk. Wonderful brunch experience with my best friend since kindergarten! Had a delightful time and enjoyed the whole experience! The cheese plate was amazing!!!! Dinner was delicious! Service was fast and friendly! 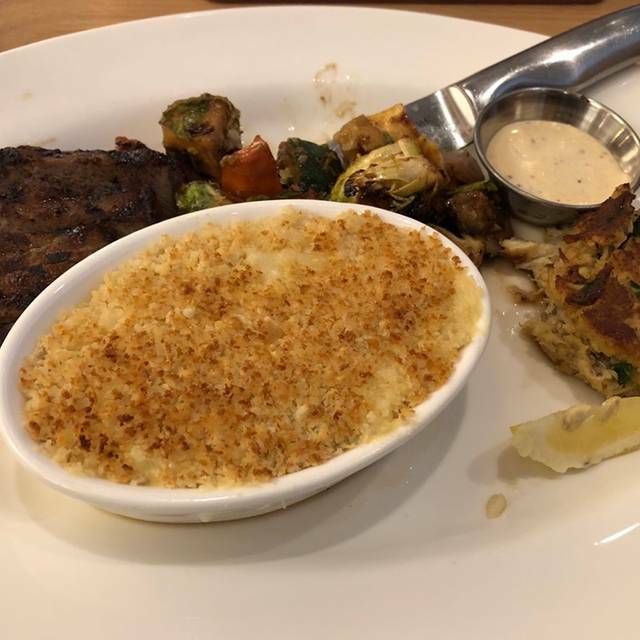 Cooper’s hawk has the best service and food in Virginia Beach . I love taking my family and friends. I know we will have a wonderful meal! It was okay. We love Cooper’s hawk in Florida. We have been to this one on their soft opening. I think it’s still a new restaurant with new servers. We had a nice meal and nice place for conversation, however the restaurant was too cold, temperature wise. One of my dining companions cautioned me about it as she had eaten there a couple times before. This was my first time at this location. I’ll bring a sweater again for sure! This is my third trip to this restaurant and the first time the food was not completely wonderful. We were a party of six and ordered several appetizers which were all fantastic, however we were not as lucky with the entrees. The Baramundi was bland and tasteless which was unfortunate since our server recommended it over the first choice of Grouper. The shrimp and grits was also a miss as the presentation included peas which were not a good addition to the dish. Everyone else loved their meals and wonderful desserts. Cat our server could not have been more attentive to everyone’s needs and made the meal really enjoyable. There was a slight mishap with the bill that included 6 servings of a single cocktail when there were only two but it was straightened out promptly. 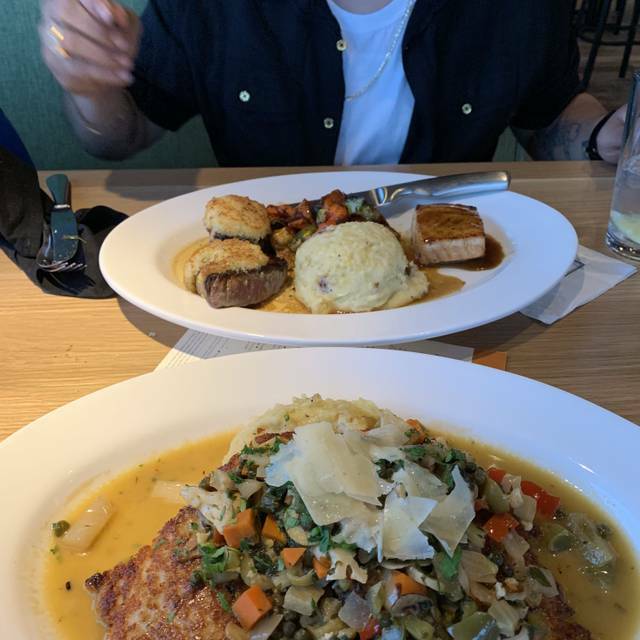 We love this restaurant for the consistently delicious food and we’re sorry that not everyone in our party was as pleased. Complimentary wine tasting was tasty and fun with friends. Looking forward to next dining experience. Very professional staff and the food came out perfect. Will be dining there again. Wanted to love this place. Food was good, wine was good, server smiled. Noise level with as so loud that I could not hear my server or my husband sitting right directly in front of me. How could the acoustics be so bad in a new build? 2 people asked me about the experience today and I told them I’d go back at lunch and see if it was better but never after 6 pm again. The restaurant itself was spectacular as was the food and service. A great place for any occasion. We will definitely return! The appetizers were great. The entrees both had roasted veggies which included a nice variety but some were very undercooked. The pork chop was on the dry side as well. Service was not great. Hoping for better next time. Our waitress Richelle(?) Was fabulous! The awesome, and the wine divine! We continue to be amazed by the entire operation and staff. Looking forward to more great times at our Virignia Beach CH. We arrived early and had a wine tasting. My wife and I both found a wine that fit our tastes. Soon our table was ready. We were seated but there was some confusion on who's section we were seated in. Side note - one of my pet peeves - the hostess should always inform the waiter of a seating in their section. Waiting tables 101. After we flagged down a waiter, she alerted the manager who apologized and offered to pay for our second round of wine. Perfect! That's all I ask for. Good customer service - apologize for the delay - provide a small token of wine - sold. Food was excellent. The Jambalaya was thick, spicy, delicious and hot. 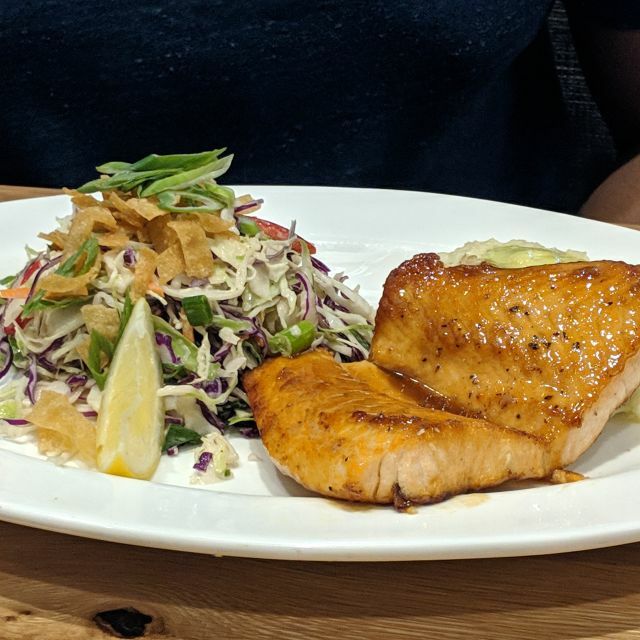 My wife's salmon was perfectly cooked and both were delivered fast. The waiter apologized again and thanked us for our patience. I would definitely recommend dining there. Open Table made it easy for a last minute reservation. We wowed the first time and were equally impressed the second time around!!! Keep up the great work!!! Highly recommend. Excellent food, wine and outstanding service. Will definitely return. 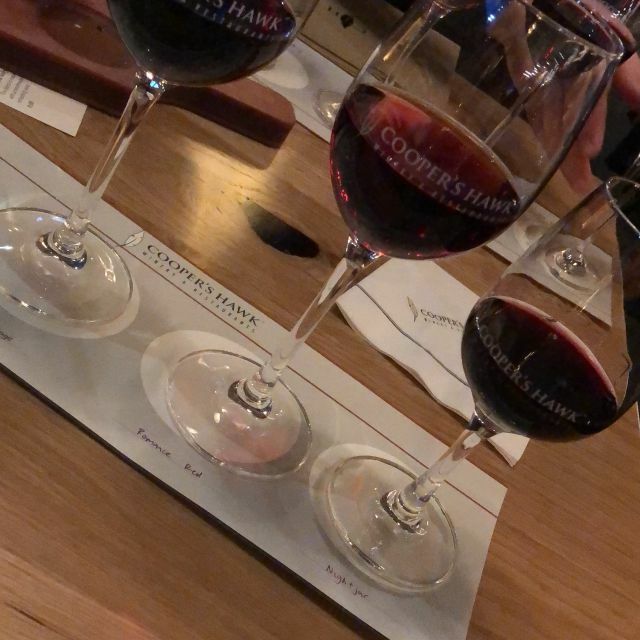 I would recommend and have recommended Cooper's Hawk Winery & Restaurant because I love everything about it. Reservations are highly recommended. The food was excellent. It’s kinda on the pricey side, but it really is worth it for special occasions. We will be going back again...and probable a few times a year to try other dishes. 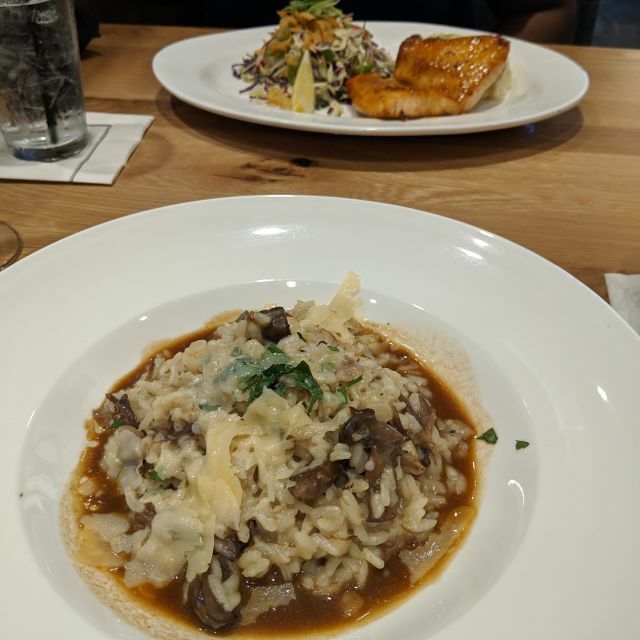 This Coopers Hawk opened in December 2018 so everything is new. The wine bar is spacious. The luncheon special was excellent and reasonable priced for lunch. This was my second time here in a week. This first time I only had appetizers but decided to return for dinner. This restaurant tends to be very noisy and we asked to be moved away from a large Birthday celebration which made the evening more pleasant. Our waiter Antoine was very knowledgeable about both the food and wine and was always attentive to our needs. He brought several samples of other wines for us to try after we ordered a bottle. They decant bottles in this large glass aerator which is impressive and also for sale. The food here is really good. My only complaint was that the trio of filet medallions was supposed to include three toppings but instead was sent out with two of the same. I brought it to Antoine’s attention but was ok with this since the food was so good. This is not inexpensive but fairly priced for the quality. My one advice is that the restaurant consider some sound dampening in the dining room which would make it truly 5 stars. Service in bar/lounge area needs serious attention and training. We sat and waited nearly 15 mins for a waiter to finally acknowledge us. He was very inexperienced. CH is one of my favorite local go-to’s. I’m there at least twice a month and am a member. Their wines are enjoyable but their cocktail list is really great too. The food is always delicious, and the servings are generous. I’ve only had great service there. It will stay in my regular rotation for a while! Great service and food. Had reservation and was seated immediately. 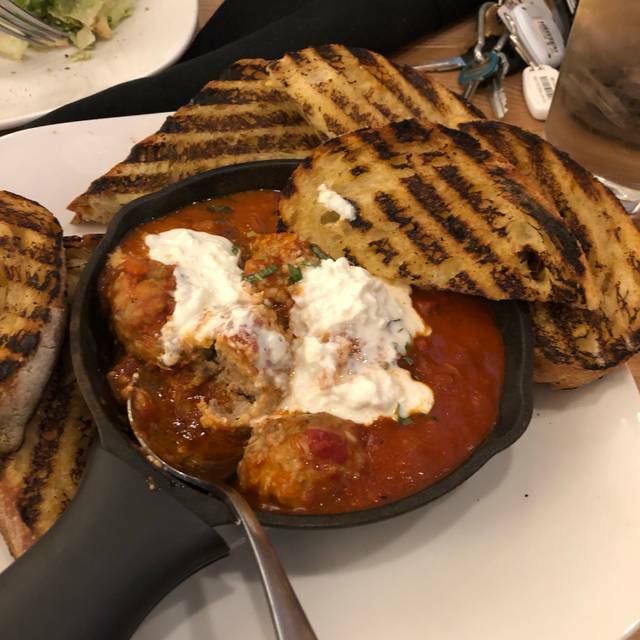 I’ve eaten at the location in Orlando several times and was excited to see you open this location here in Virginia Beach! The food was excellent as always and the other three members of my party enjoyed there first experience. We will definitely be back! Great meal. Just very loud. Aside from the location, parking issues and noise level inside the establishment, it was a great evening. 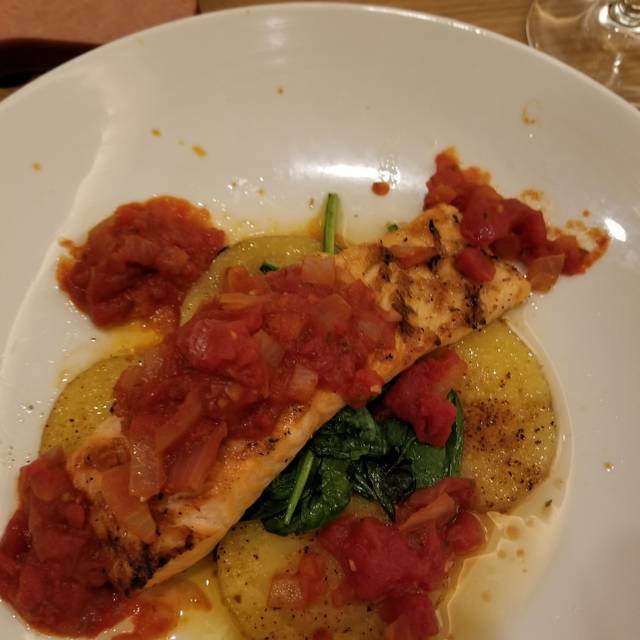 The food was very good, and the service was exceptional. Fantastic in every way with one exception. We were sat in a booth for two and there was a large round table full of people next to us. The wait staff and hostesses kept leading folks between the two tables, yet the table on the other side of the round table was empty. Rather than continuously squeezing between our table and the round table it would have made more sense for the staff to take the path on the other side where one of the tables was empty and there was more room to pass. I am a wine club member and it was very very loud at this Coopershawk. People at other tables were so loud we could hear their conversations. The staff never asked the people to lower voices to a non screaming volume. Kept serving drunken sailors from the base...very disappointing but the food was phenomenal as always. Will never visit this Coopershawk by the base again. A positive was the new Virginia Beach location was beautiful! Love this restaurant! Service is great, food is outstanding and the atmosphere is always fun!